You can read Jamie’s full post on the Columbia Center for Oral History’s website. We expect to house the interviews completed thus far in the Columbia Center for Oral History Archives here in RBML. In the meantime, you can browse the finding aid for Columbia’s LGBT records 1961-1990. 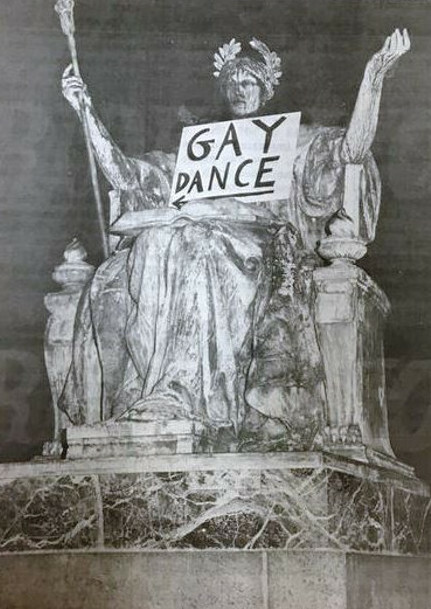 The collection consists of newspaper clippings, publications, correspondence, memos, meeting minutes, and promotional material related to the activities and interests of Columbia’s LGBT student groups. It also contains some syllabi, reading material on homosexuality, financial statements, surveys, and a few photographs.